As of January 12, 2019, the United States Government shutdown went into its 22nd day, it is currently at 25 (1/15/2019). This surpasses the 21-day shutdown under President Clinton as the longest government shutdown in US history. The partial shutdown has been in effect since December 22nd. Congress failed to come to a resolution on fund appropriations for government operations. The legislation hit a stalemate when President Trump refused to sign the House-approved bill. The President stated he would not sign the bill until it included a 5.7 billion dollar provision for building a wall along the US-Mexico border. 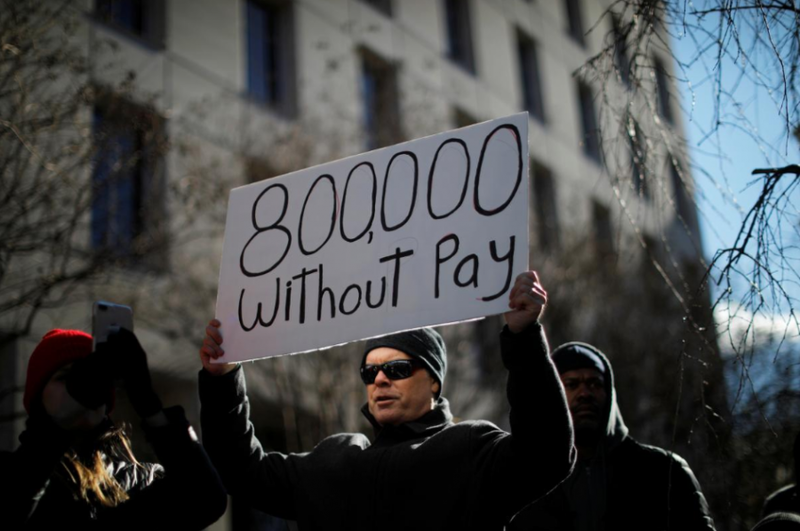 The 25-day* shutdown has resulted in 800,000 government employees being furloughed. Those furloughed employees across the United States missed their first paychecks on Friday, January 11th, 2019. Some of the most notable impacts include forced closures of some terminals in Houston and Miami airports. Forced to close due to a lack of TSA agents, these airports are operating fewer terminals. The FDA has had to pull back on food safety inspections due to the lack of funding, including testing for salmonella and E. coli. The Department of Agriculture has failed to release 2019 crop data and federal aid to farmers. Trump’s justification for the provision to build the wall at the Mexico border is for safety precautions. During a speech from the Oval Office, the President stated that illegal immigration brings in illegal drugs, mass murders, and sexual assault crimes. “In the last two years, ICE officers made 266,000 arrests of aliens with criminal records,” Trump said. The House passed a bipartisan bill on January 9, 2019. That bill would have restored government funding and included a compromise of $1.3 billion to aid border security. This included beefing up the amount of border patrol agents and increasing surveillance. Senate Majority Leader, Mitch McConnell, did not bring the bill to a vote because it did not include the 5.7B for a wall. Speaker of the House, Nancy Pelosi, and Senior United States Senator, Chuck Schumer, have stated they will not support funding for the wall. “The Symbol of America should be the Statue of Liberty, not a 30 ft wall,” Schumer said. Government shutdowns occur when Congress cannot resolve the budget conflict for the upcoming fiscal year. The only way for this dispute to cease is by bipartisan approval on spending. Congress passes all spending bills regarding the federal budget. As a result, many government offices close due to the disagreements. This also affects a large number of federal employees. Until a spending bill is approved, shutdowns cause many to work without pay or not be allowed to work. Just some of the government organizations that are affected are FEMA, EBT, TSA, Air Traffic Controllers, FBI, FDA, Dept. of Agriculture, ICE, IRS and many more. President Gerald Ford’s term was the first government shutdown during the year of 1976. President Ford vetoed a spending bill amid a dispute over the budget for the Department of Health, Education & Welfare. However, this shutdown only lasted for 10 days. Years later, in 1995-1996 President Bill Clinton backed a 21-day government shutdown over Medicare, education, and environmental spending. That event was the record holder for longest lasting US government shutdown in history until January of 2019. Republican leaders demanded the White House to propose a seven-year budget plan that balanced using the Congressional Budget Office (CBO) economic forecasts, rather than the United States Office of Management and Budget (OMB).